July 2018: Installation of 2-way Rolec Securicharge 7kW wall-mounted chargepoints at each of the four prestigious garden centres in the South-West, with a fifth centre to be fitted soon. 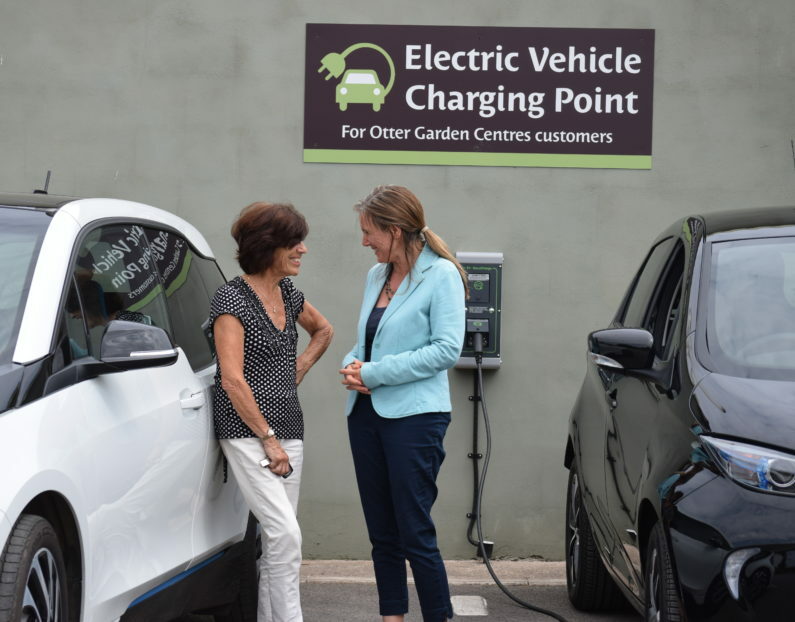 SOL has been working closely with this well-known family-run garden centre business to fit eight electric vehicle charge points across their sites in Ottery St Mary, Plymouth, Wincanton and Lymington, with plans underway to fit two more at the Torbay branch in the near future. 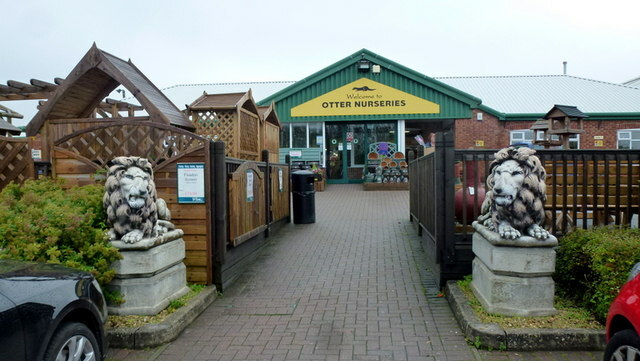 Otter Garden Centres has added to existing green credentials with the installation of car charging points at the company’s Ottery St Mary, Plymouth, Wincanton and Lymington branches. Customers who drive electric cars will now be able to use the EV (electric vehicle) charging stations free of charge while they shop. Each station is capable of charging two vehicles. As a company, Otter Garden Centres is committed to an environmentally friendly approach and this is the latest in a series of green initiatives undertaken. Managing Director, Jacqui Taylor explained: “We already use biomass boilers, solar panels and rainwater harvesting and opt for biological rather than chemical pest controls in our three growing nurseries. Customers will be able to browse the garden centres at leisure before returning to their fully charged car and their onward journey. The four branches are to be added to a map that displays car charging point locations in the UK. Otter Garden Centres Operations Manager, James Billington said: “It is a great way for us to reward our customers – not only for their custom but also for their shared environmental values. The installation was carried out by SOL Electrical. SOL, like Otter Garden Centres, is a family-run business with its headquarters in Devon. Founded in 2007 by Simon Lord, the company is at the forefront of developing EV charge point infrastructure in the South-West. There are currently over two million electrical vehicles on the road globally, with 130,000 in the UK. This is predicted to rise to 200,000 by the end of 2018. Certain to be much appreciated by their existing customers as well as many new visitors who will now be able to call in and charge, this is a fantastic boost to chargepoint infrastructure in the area.